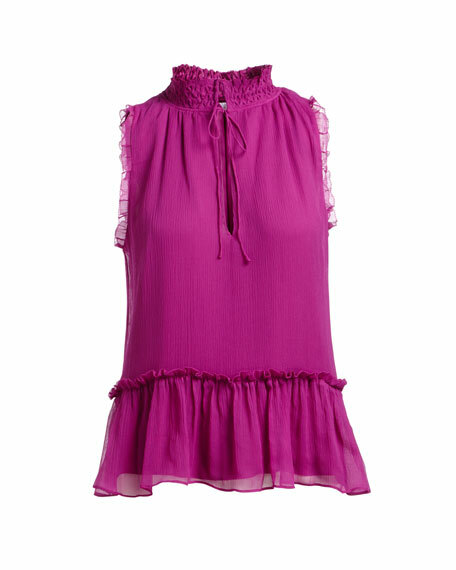 Parker "Ray" chiffon blouse with ruffled trim. Mock neckline; ties at front. For in-store inquiries, use sku #2434935.